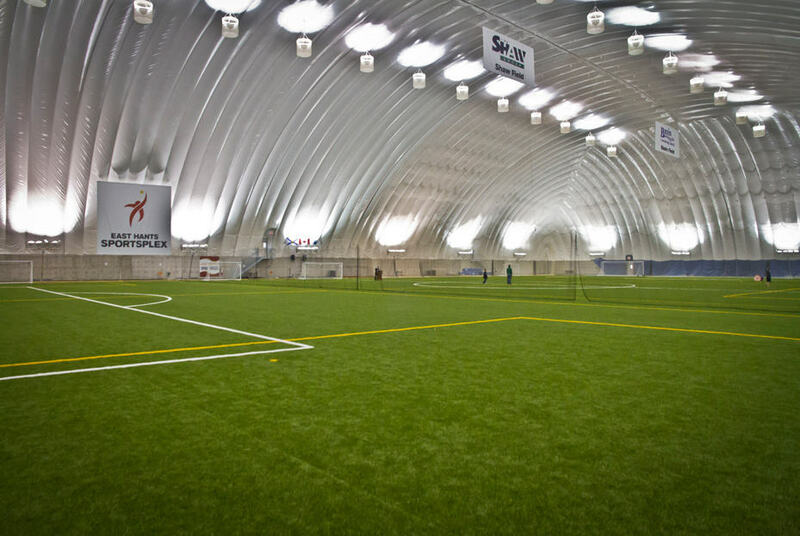 This is the largest sports dome in Atlantic Canada; our turf field can be used for a variety of sports, including: soccer, football, rugby, lawn bowling, ultimate frisbee, fast pitch, golf, etc. The sky is the limit when looking at various possibilities. Around the perimeter of the field is a walking/sprint track for all to enjoy. The field house can be booked as 1/3, 2/3 and full field. There is seating capacity for approximately 200 people.